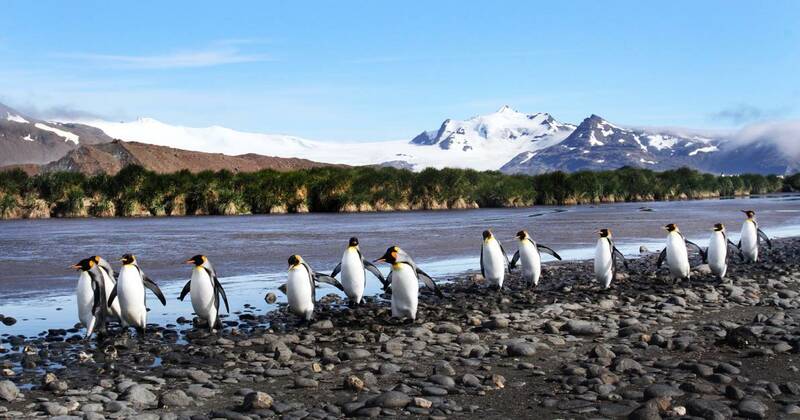 South Georgia is an island in the Antarctic region, with 9000 foot peaks and 160 glaciers. 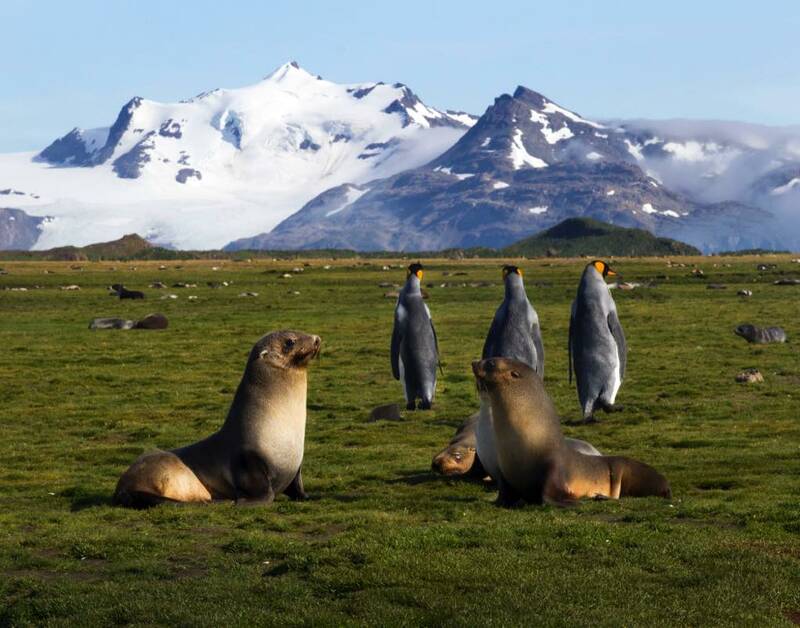 Located 1,300 miles east of Tierra del Fuego in the South Atlantic Ocean, a combination of underwater topography and converging currents produce rich seas that support some of the most populous seal, penguin, and seabird colonies on the planet. 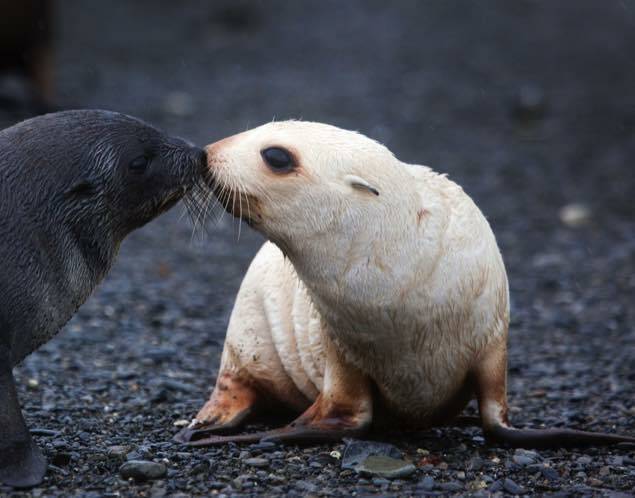 About 1 in 1000 Antarctic fur seal births are pale 'blonde' variants. A recesive trait. 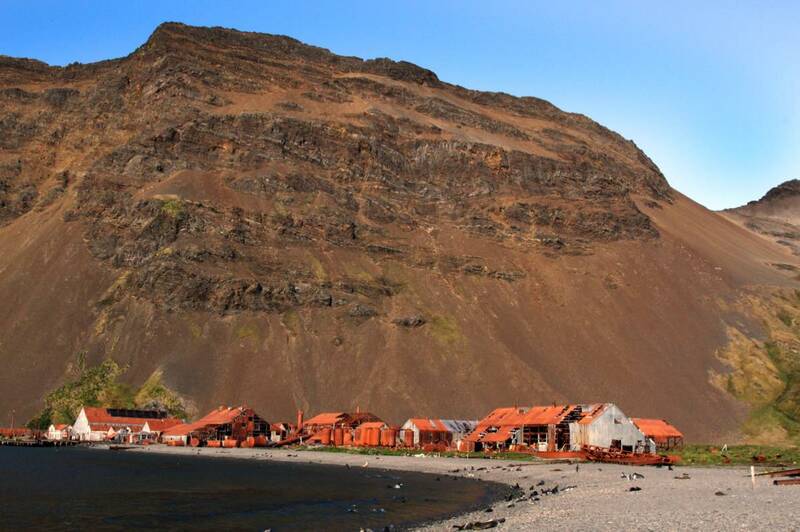 There are no trees or shrubs on the islands. 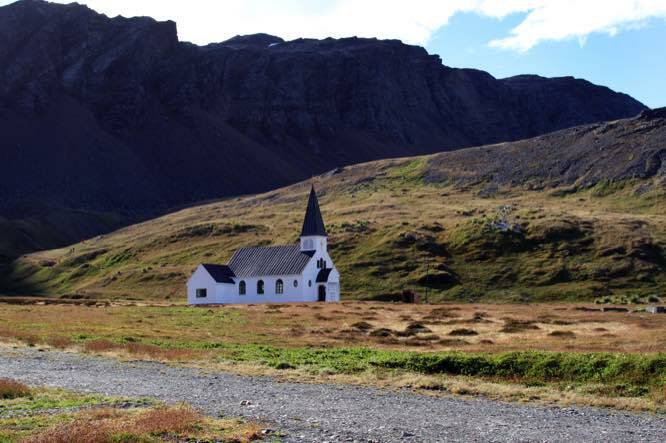 The largest plant is the tussock grass. 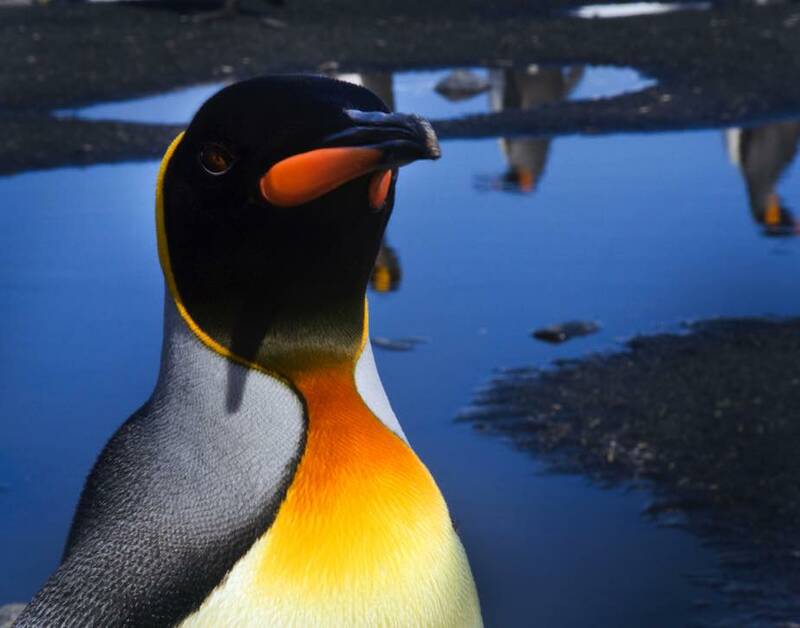 The King Penguin does not build a nest, and may leave their chicks for months at a time as they forage for food. 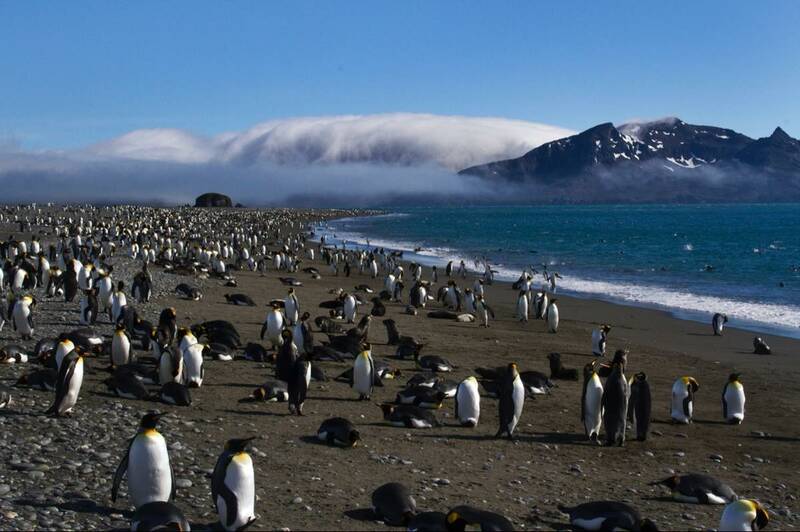 The island, about 100 miles long and 20 miles wide, has a relatively temperate climate and sits in the path of a seasonal river of krill borne up by currents from the Antarctic Peninsula. 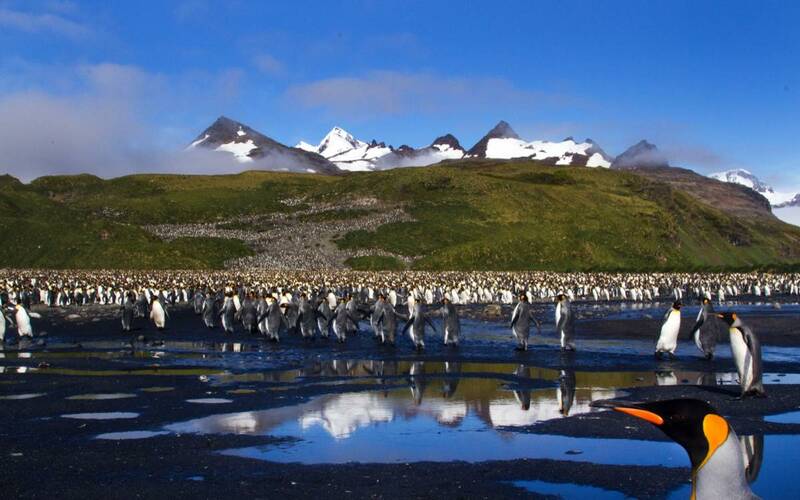 Krill, a red , shrimplike crustacean is the basic fuel for the rich wildlife population. 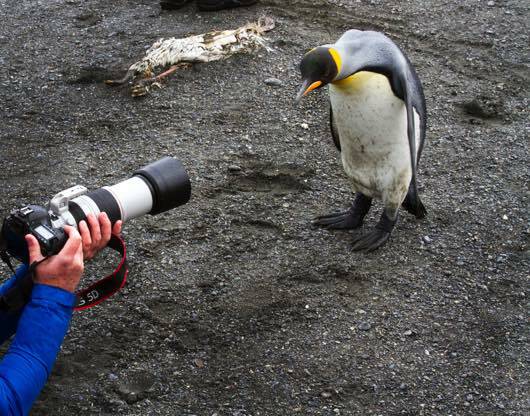 The wildlife on South Georgia have little fear of humans and are very curious. 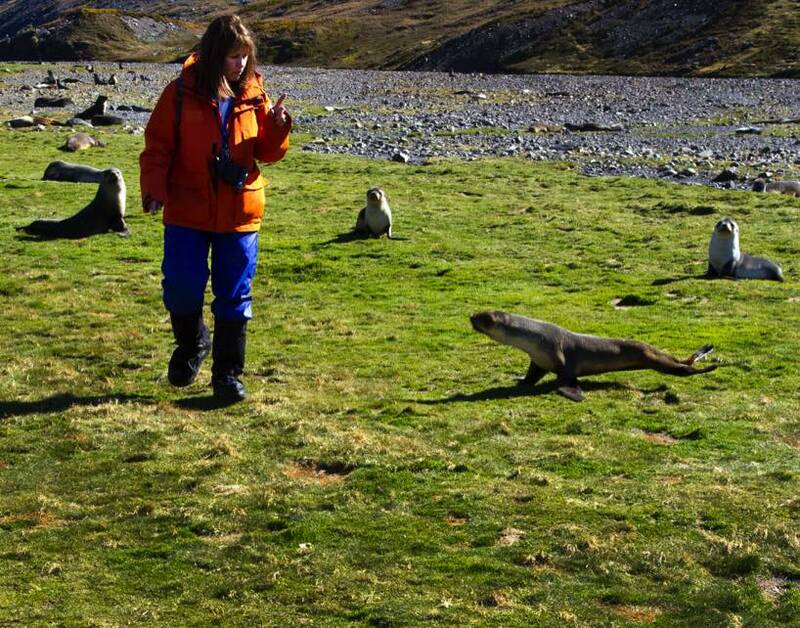 An experience similar to walking among the species of the Galapagos. They have had no land predators to threaten them. 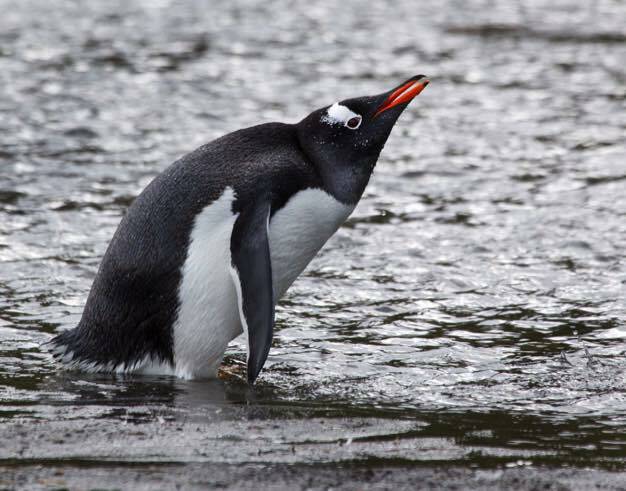 is the second largest species of penguin, outsized only by the Emperor Penguin. 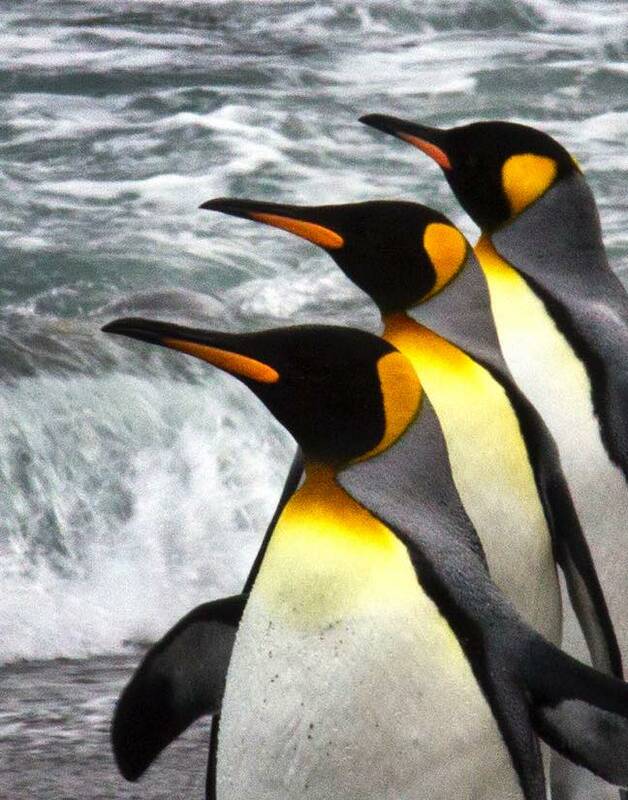 Kings weigh between 24 and 35 pounds and stand about 3 feet tall. 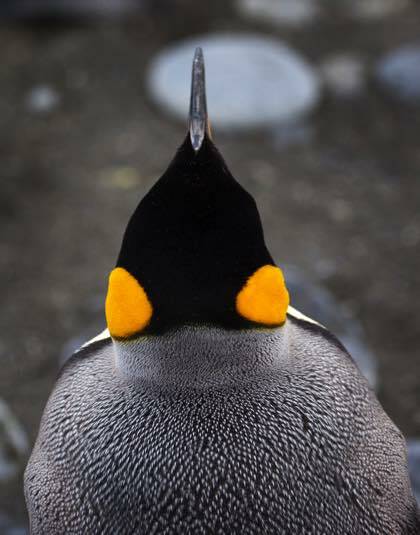 King Penguins have the longest breeding cycle of any bird, taking 14 to 16 months to fledge a single chick. 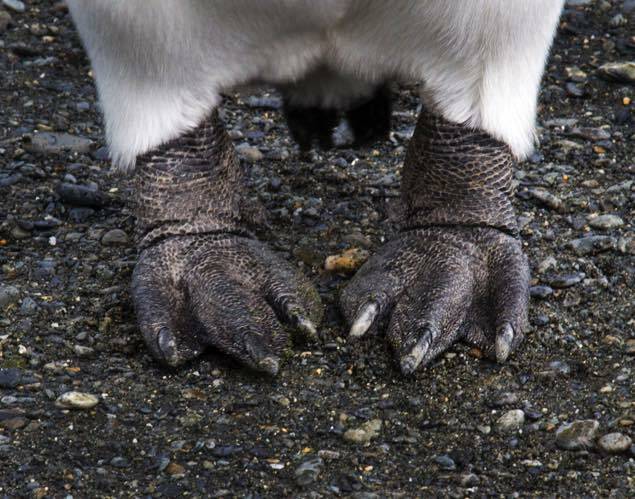 Gentoos on average weigh 12 pounds and stand about 28 inches tall. 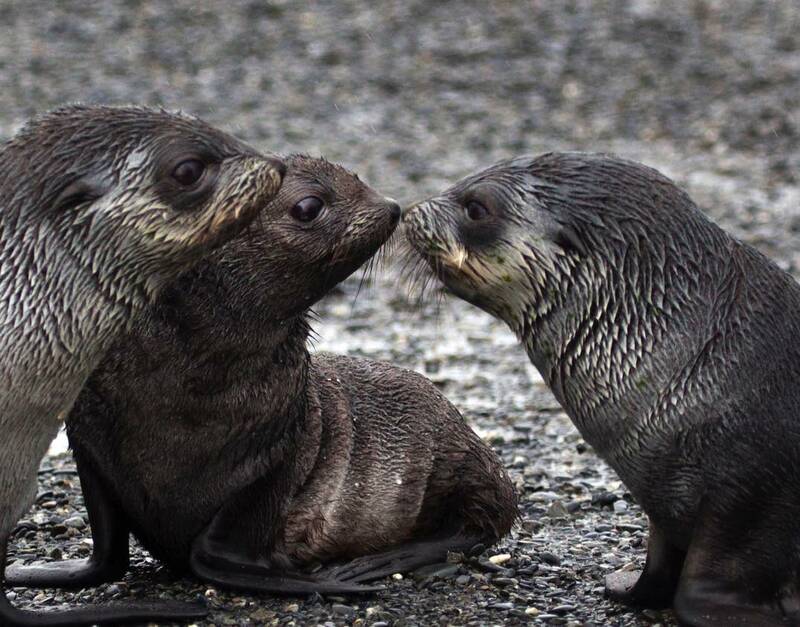 The young fur seal pups are fairly agressive at defending their territory and can give a nasty bite. Cheryl is warning this little one to keep its distance. 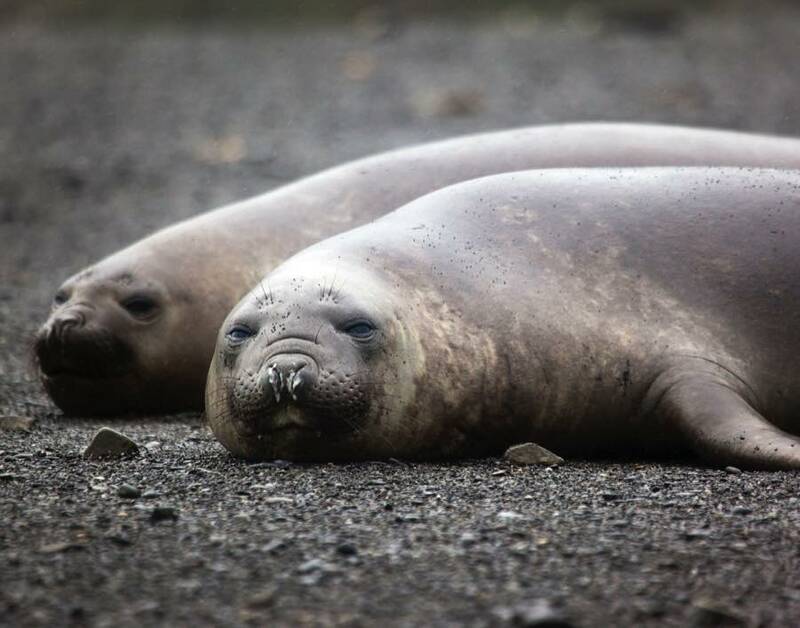 Whalers and sealers often referred to these seals as "snotters". 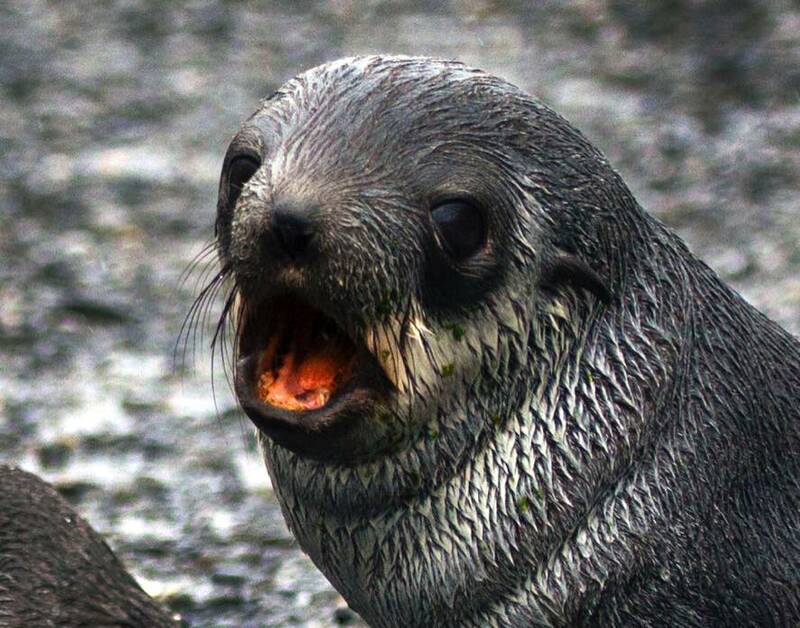 Elephant seals were aggressively hunted for their oil, and their numbers were once reduced to the brink of extinction. 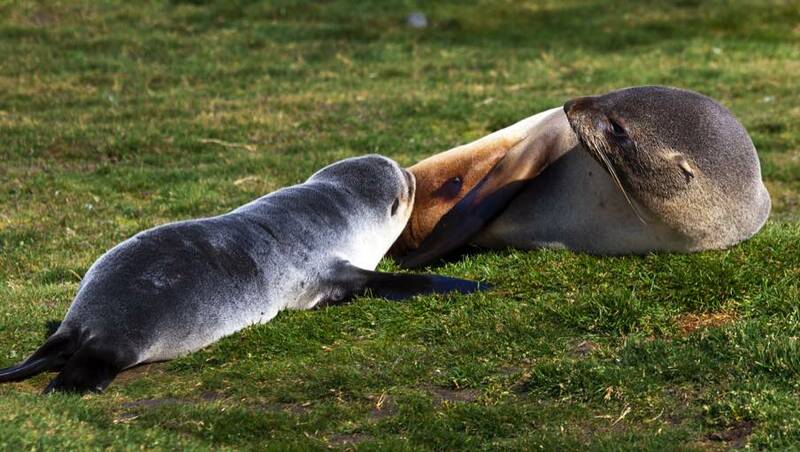 It is both the largest pinniped and member of the order Carnivora living today, as well as the largest Antarctic seal. 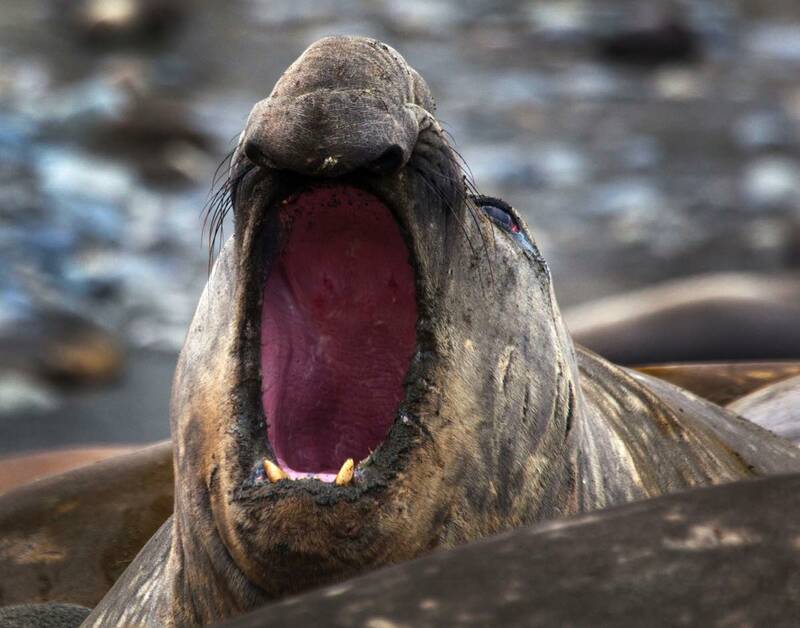 Elephant seals feed on fish and squid, and are capable of diving to great depths. They are in competition with commercial fishing for food source. 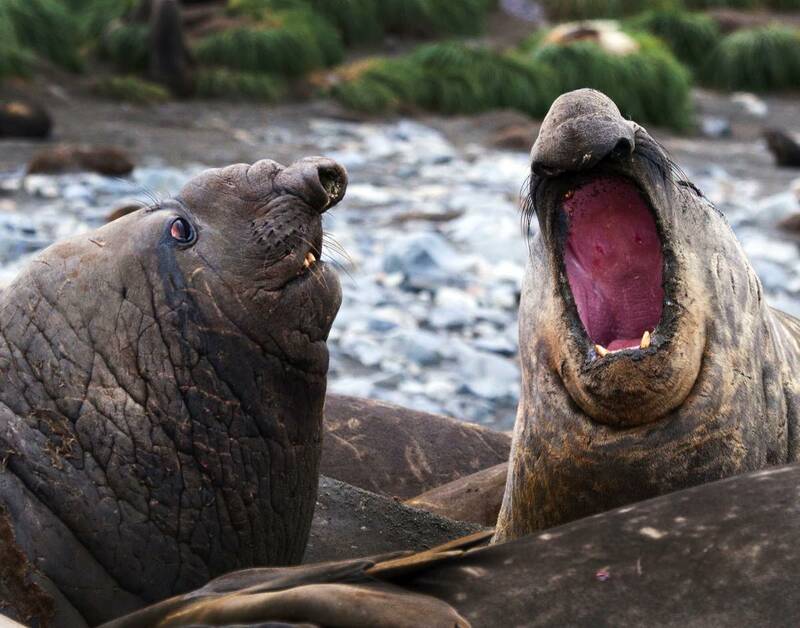 Elephant seals are among the most sexually dimorphic and polygynous species of all mammals. Females are much smaller than males and don't have the prominent inflatable proboscis. 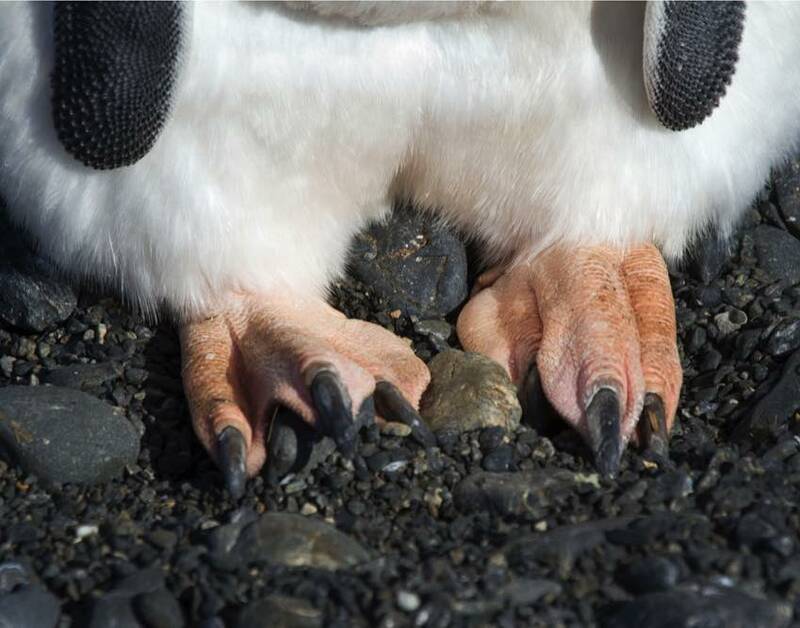 Males can weigh 3 to 4 times more than females. 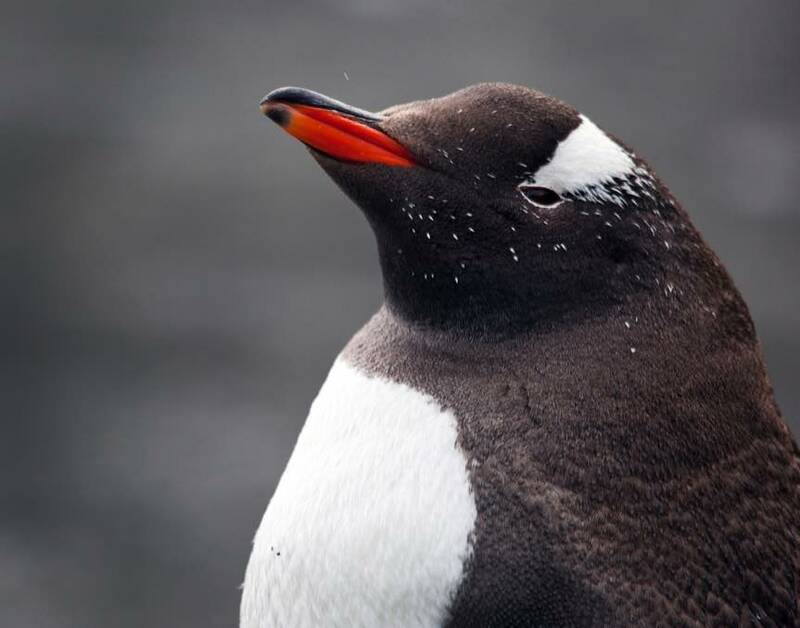 Polygynous refers to the dominant males mating with all the females in his harem, that average 40 to 50 in number, but could be in the hundreds. 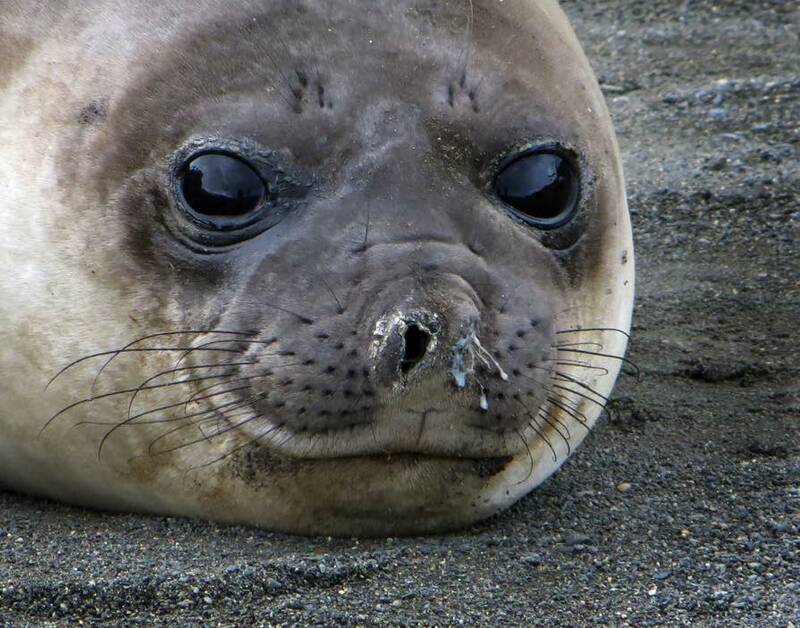 An elephant seal must stay in his territory to defend it, which could mean months without eating, having to live on his blubber storage. The adult bull southern elephant seal, without rival the largest carnivoran alive, can weigh up to 8000 pounds and be 20 feet long. 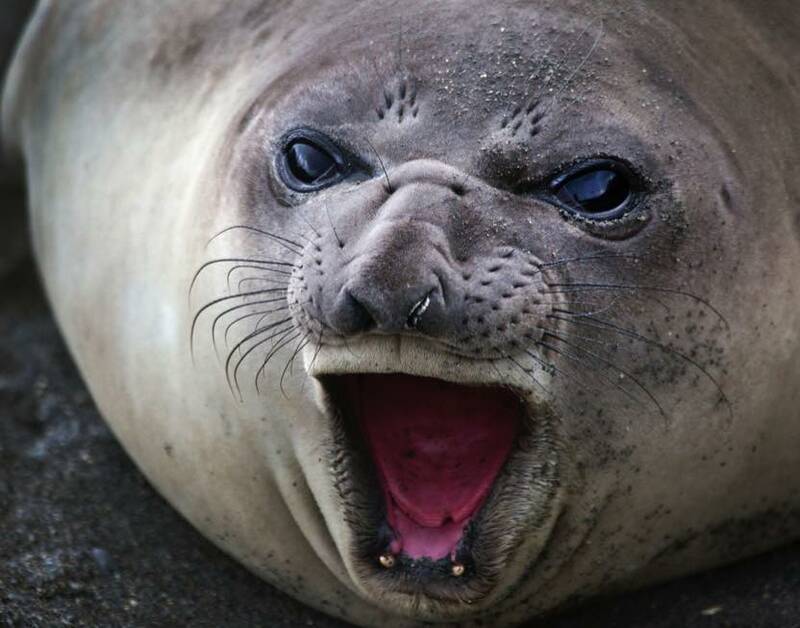 An average adult male southern elephant seal weighs six to seven times more than the largest terrestrial carnivorans, the polar bear (Ursus maritimus) and Kodiak bear (Ursus arctos middendorffi). 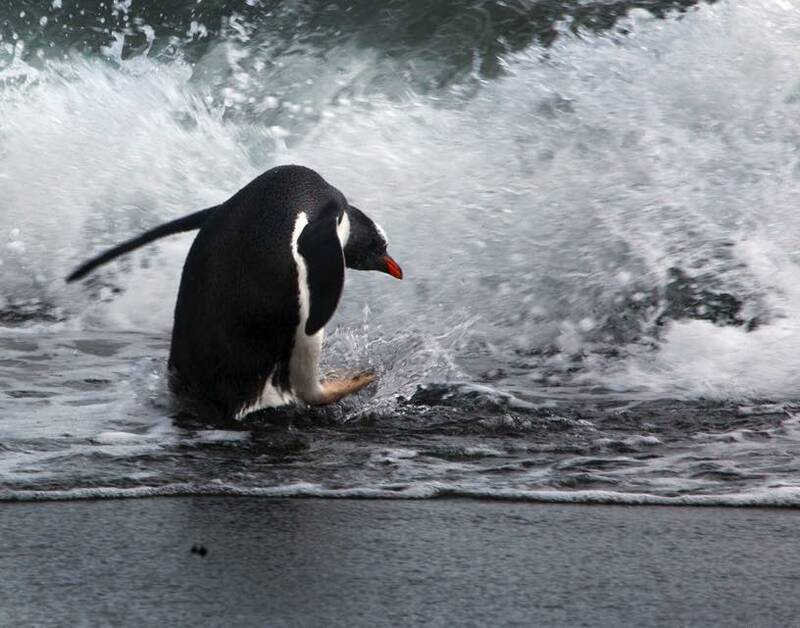 They dive repeatedly, each time for 20 minutes up to 2 hours, to hunt their prey—squid and fish—at depths of 1,300 to 3,300 ft. They are the deepest diving air-breathing non-cetaceans and have been recorded at a maximum of 6,998 ft in depth. 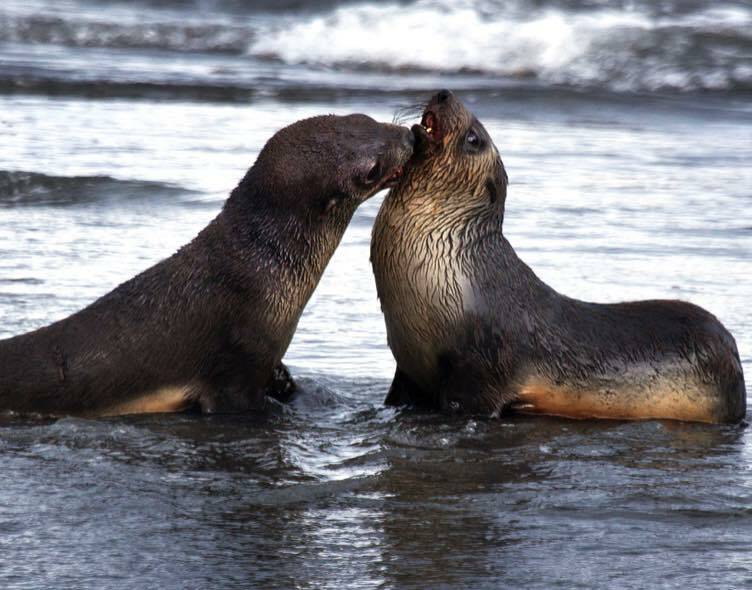 Fur seals can get up on their front limbs and move fairly about quickly. 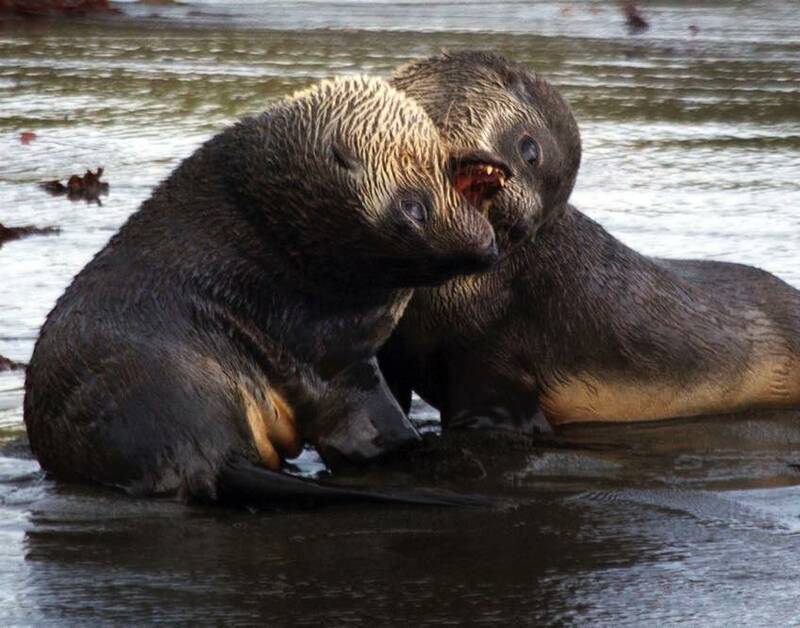 Elephant seals can't do this. They flop along. 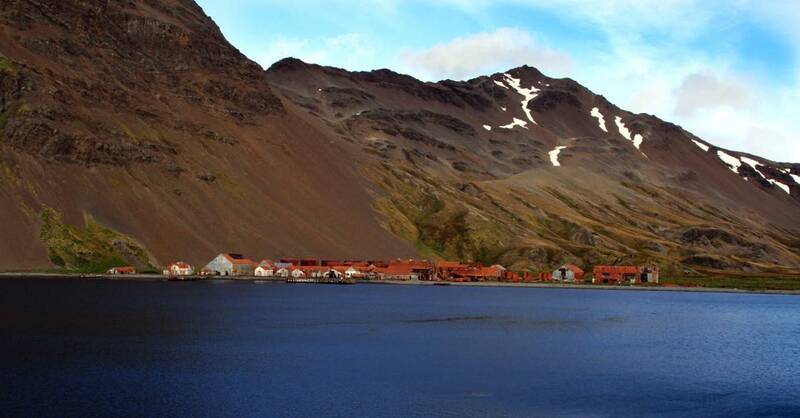 The whaling settlement at Grytviken operated from 1904 to 1966, with over 300 men living and working here during whaling season. 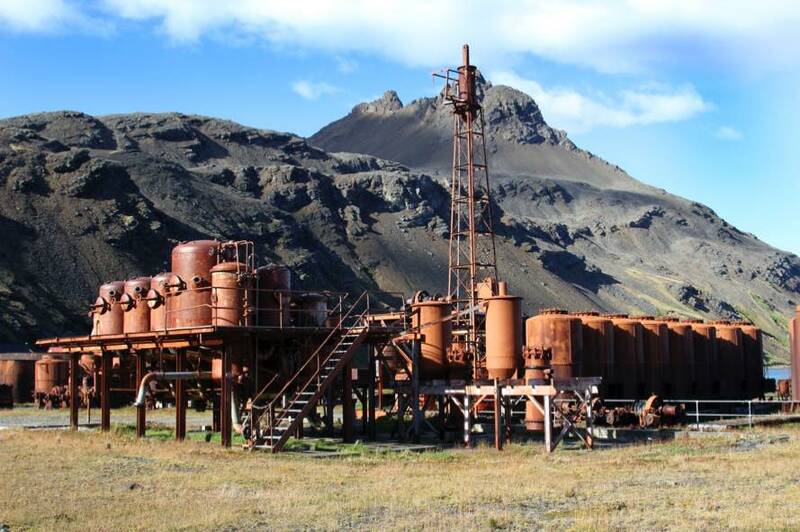 During its operation it handled 53,761 slaughtered whales, producing over 500,000 tons of whale oil and over 200,000 tons of whale meat. There were another five stations of similar operation on South Georgia. The explored died from a heart attack while at sea in 1922, and was posthumously returned to South Georgia for burial. He is buried along side those whalers who died on the island. 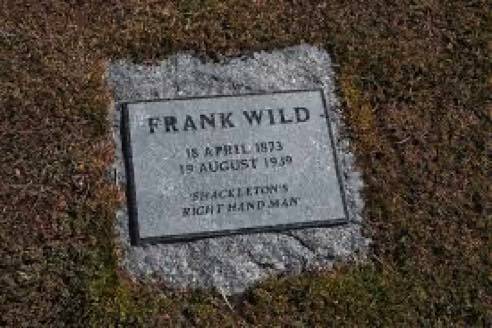 Frank Wild, Shackleton's number one requested that he be laid to rest next to "the boss" and eventually his ashes were buried to the right of Shackleton by Wild's family in 2011. 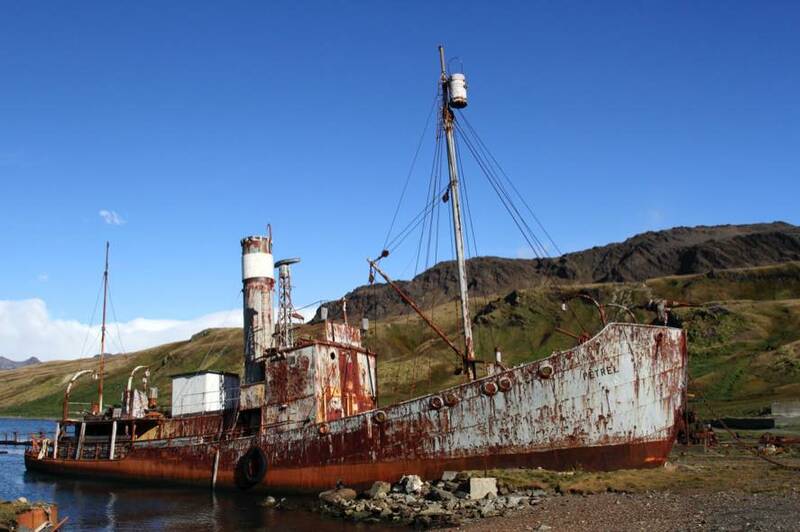 The inscription reads: "Frank Wild 1873-1939, Shackleton's right-hand man." 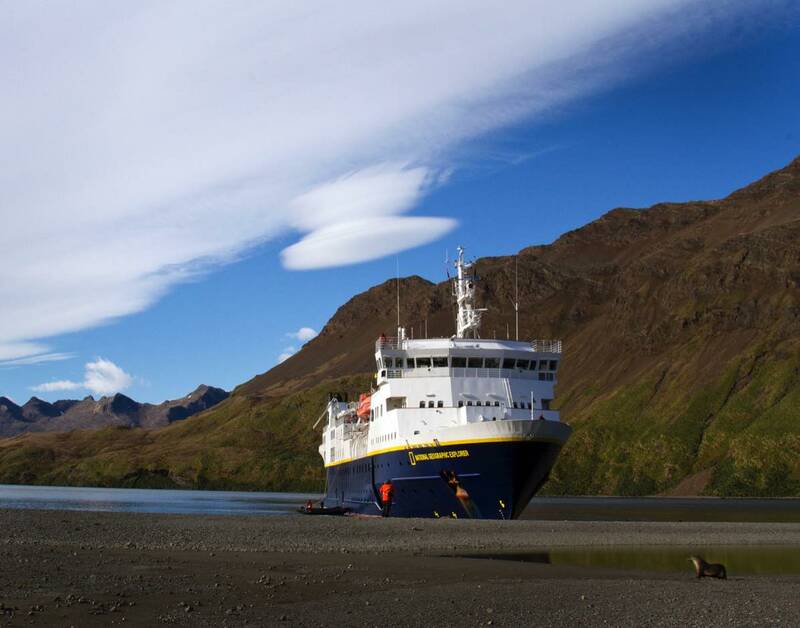 Leaving Frank Wild in command of 21 men on Elephant Island, Shackleton and a crew of five made an epic 800-mile journey in an open boat named the "James Caird" to King Haakon Bay in South Georgia to raise the alarm. 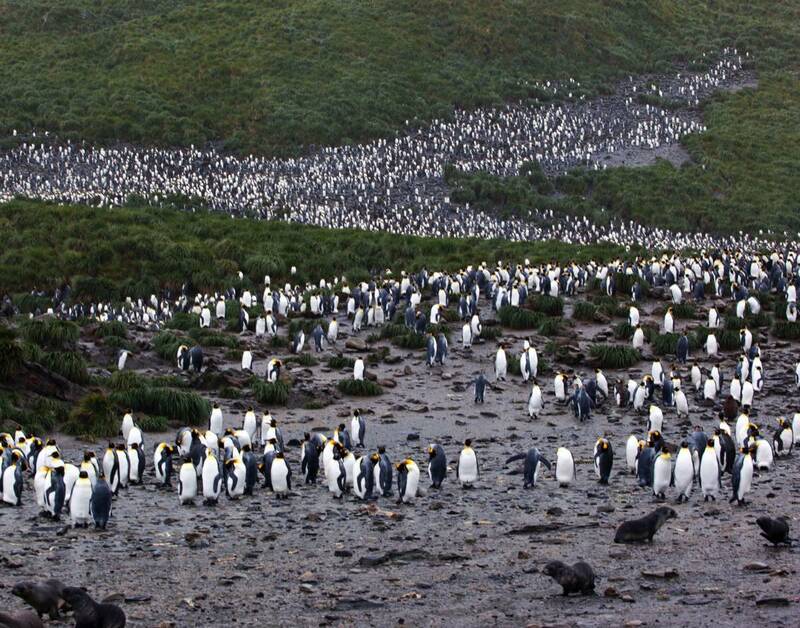 From April to August 1916 Wild and his men waited on the island, surviving on desperately meager rations of seaweed, seal and penguin meat. 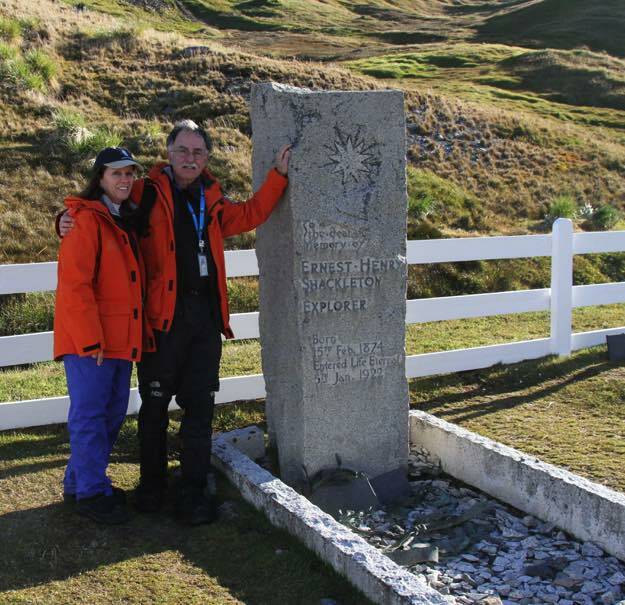 It's traditional to have a sip of whiskey and pour a sip on Shackleton's grave. Cheryl and I upheld the tradition. In the season of 1930/31 alone, over 40,000 whales were slaughtered. 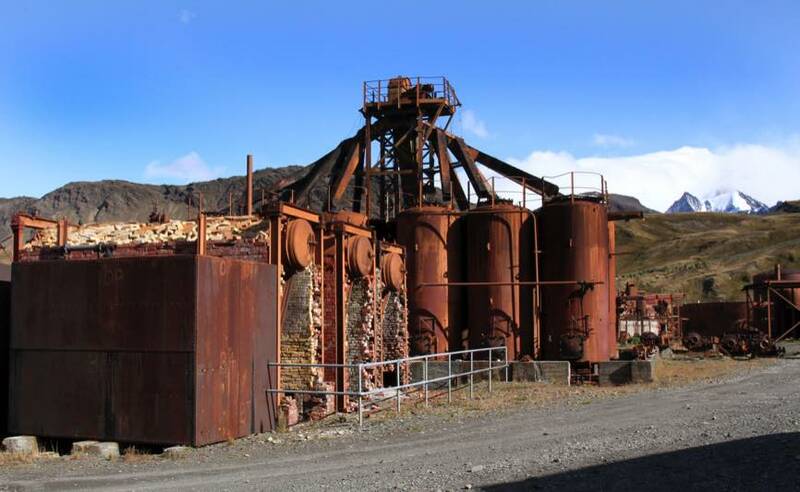 Eventually, extinction and near-extinction of whale species in the area caused the operations to shut down. 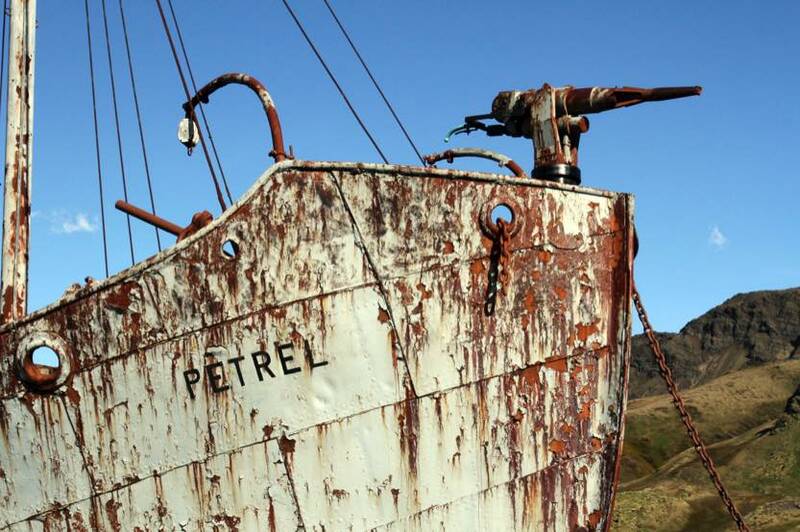 A steam-driven whale catcher, the Petrel, with explosive harpoon mounted on bow and a "crow's nest", was constructed in Oslo in 1928 These fast boats were able to catch up with even the fast swimming blue and fin whales, harpoon them, fill them with compressed air so they wouldn't sink, then tow them back to the station. 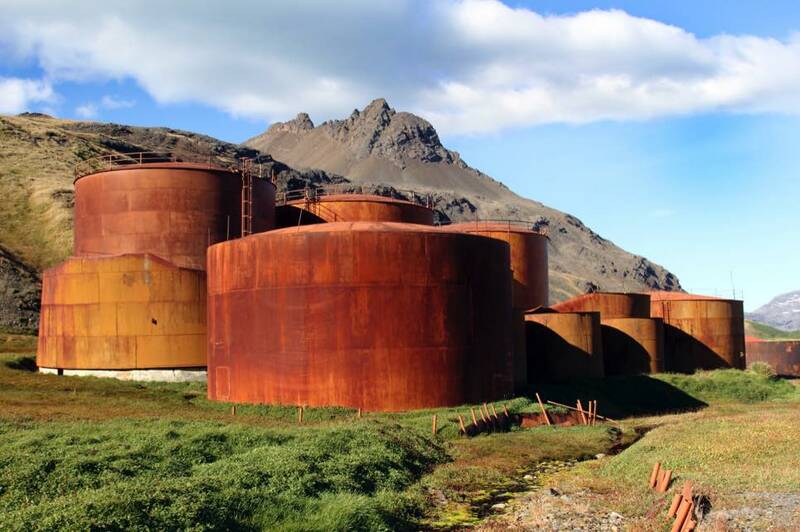 Grytviken whaling and sealing station at King Edward Cove. 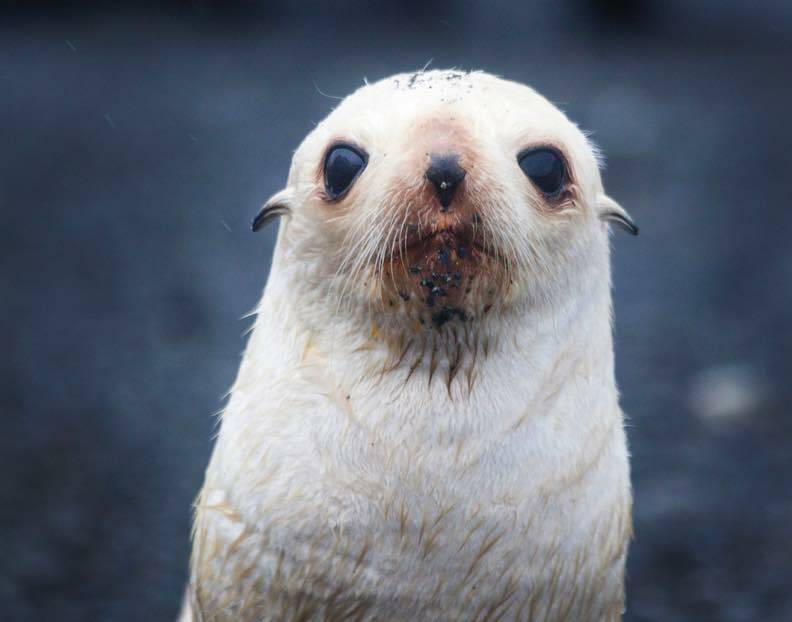 It is conservatively estimated that over twenty five million fur seals were slaughtered for their skins in the one hundred and twenty five years from 1775-1900. 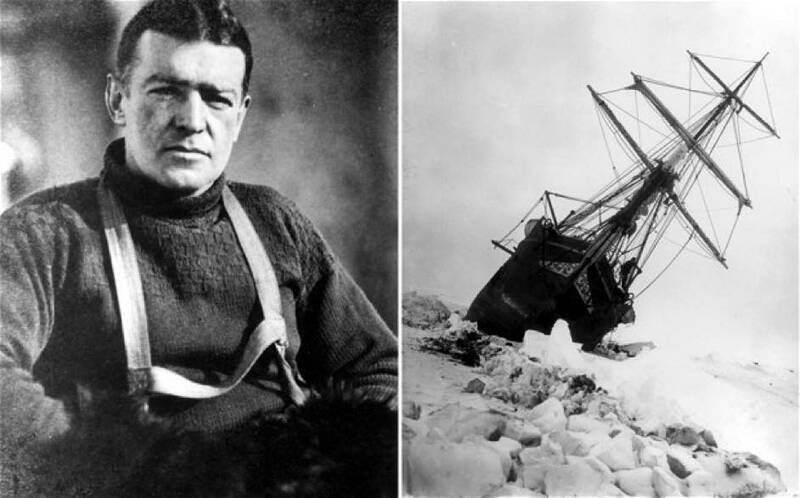 Ernest Shackleton led the Imperial Trans-Antarctic Expedition of 1914–17, an the attempt to make the first land crossing of the Antarctic continent. His ship, the Endurance, became trapped in the Weddell Sea ice and eventually was crushed and sank in 1915. 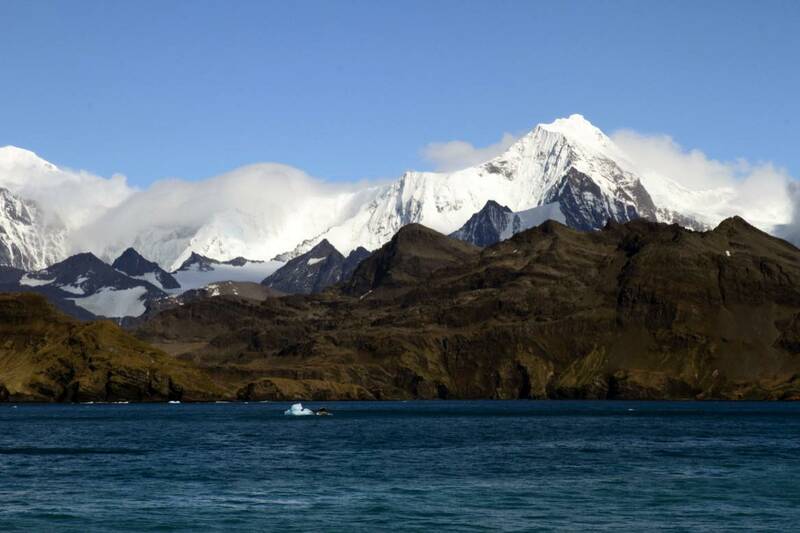 As amazing as his crossing 800 miles of open ocean in a 20 foot life boat was, when Shackleton reached South Georgia, he and and two of the crew had to cross the island, climbimg 3000 foot peaks, to reach to a whaling station. After three failed attempts over six months, Shackleton eventually led a rescue mission back to Antarctica and all his crew survived.